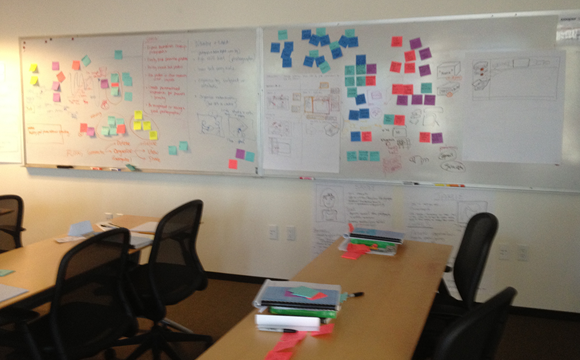 During the week of December 5th, I was lucky enough to attend the Interaction Design Practicum with the Cooper Design Firm. 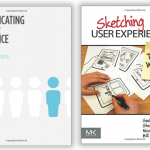 Good training is essential in the world of User Experience Design, so I am always seeking out workshops, conferences and training to attend. I had big expectations for this session, so read on for a full review. 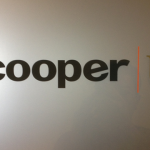 For those of you not familiar with Cooper, they are a well known design firm based in San Francisco. They were founded by Alan Cooper, who is the author of several books, including, “About Face 3: The Essentials of Interaction Design”. He is also known as the “Father of VB”. In 1992, he started a design firm that specializes in helping design highly usable software and devices. In addition to consulting, they also offer training courses that cover the various processes and models that they have developed over the years. 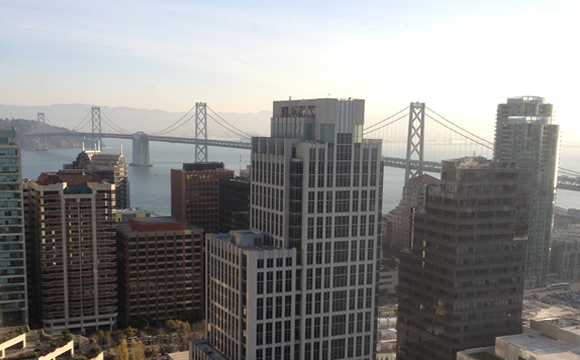 The 4 day session was held at the Cooper Offices in San Francisco. 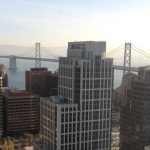 Cooper occupies the 26th floor of an office building nestled in Downtown with great views of the city from the windows. The atmosphere there was very relaxed, and although the majority of the workshop took place in the Cooper classrooms, we were encouraged to roam around the premises freely. I didn’t want to look too much like a tourist, but I went into Ninja Mode and took several photos of the office space. I would definitely love to end up working at a place like Cooper, be sure to read my observations at the end of this post to find out why. The cost for the Interaction Design Practicum, as of December 2011 is $2250, but if you sign up at least 30 days in advance, you will receive a $100 discount. This cost covers the 4 day workshop, training materials, and beverages/snacks provided throughout the week (Lunch is provided on the first day, but you are on your own the rest of the week). If you live outside of the San Francisco area, you will also need to take into consideration additional costs for travel such as plane tickets and hotel. I stayed at the Cooper recommended Galleria Park Hotel, which was in walking distance of the Cooper offices. The rooms were clean and prices were fair, so I would consider staying there again if I ever returned to the area for additional training. There was a very diverse group of attendees for the training session that I attended. Individuals traveled from as far away as Singapore and Malaysia, while some lived locally in San Francisco. Job roles varied from the expected User Interface/Interaction Designers, to Development Managers, Vice Presidents, Marketing Professionals and even an Industrial Architect. Some of the companies that the attendees worked for included Boeing, Direct TV, Intel, BigStockPhoto.com and Practice Fusion. In addition, because all new Cooper employees are required to complete the training sessions, there was also a new Cooper employee sitting in the class. As you can see, it was definitely a unique and broad cross section of people. 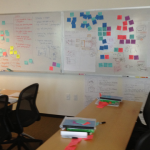 The Interaction Design workshop is taught by two different instructors who work for Cooper as Interaction Designers. The instructors rotate so you may or may not have the same instructors who are mentioned in this post. The first two days of the session were taught by Emma Van Niekerk. Emma worked with Cooper as an Interaction Design Consultant until recently. She has joined a new start-up called “Urban Tag”, but returned to Cooper to facilitate the training sessions. Before Cooper and Urban Tag, Emma worked as an internal designer at Microsoft with the Microsoft Design Group. She graduated from Carnegie Mellon with a Masters Degree in Interaction Design. Days three and four were facilitated by Cooper Principal Interaction Designer Stefan Klocek. Before joining Cooper, Stefan worked in Marketing and the eLearning Industry. Stefan most recently was assigned by Cooper to work with EHR vendor Practice Fusion to assist in designing their new iPad app. Both instructors were excellent presenters and very knowledgeable. They were friendly, did a good job of answering questions and provided examples from their experiences during the lecture. Day 1: Research – This portion of the session focused on Interview Techniques, Developing a Research Plan and Understanding Users. Day 2: Modeling – This portion of the session focused on how to turn the data compiled from research into something meaningful and included information on the creation of Ecosystems and Workflows, Personas and Writing Scenarios. Day 3: Requirements Definition, Framework Definition, Detailed Design – This portion of the session focused on Identifying and Prioritizing Requirements, Design Principles, Designing Frameworks and Detailing the Design. Day 4: Implementation Support and Design Exercise – This portion of the session focused on Design Communication and Project Planning. 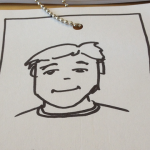 You will also have an opportunity to participate in User Observations and will complete a design exercise. The course was taught with a standard PowerPoint/lecture style with several individual and group projects used to assist in reinforcing the objectives that were taught in each section. 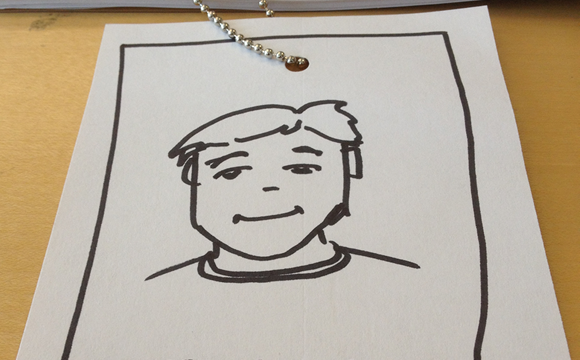 Many times we were asked to present our sketches and personas to the class. We were also encouraged to try and work with different partners for each activity in order to get a chance to get to know other students and also get a feel for what it is like to work in pairs. Part of Cooper’s strategy when working with clients, is to work in pairs, so this assisted in giving our in class projects more of a realistic feel. You will also get to see some of documentation that Cooper produces for their clients. On the final day of class, the lecture was more limited and focused on letting us put into practice the process that we learned the previous three days. The final exercise required us to re-design the BART Kiosks which are severely outdated. This included walking down to the Montgomery Street BART kiosk location to participate in some user research/observation, then taking that data into consideration for our new design. 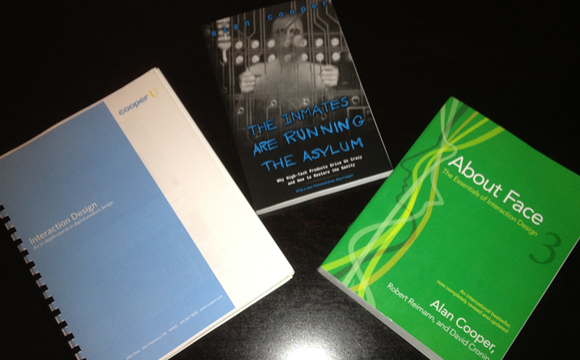 After the 4 days were complete, I definitely felt that I had a good grasp of the Cooper Goal-Directed Design Process. The first day or two started off slowly, but after a while, all of the concepts that were discussed finally started to get pulled together and I was able to see how the process, if implemented, could definitely lead to better design. 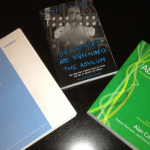 More importantly, I learned how to look at UX/Interaction design from a different perspective. The most effective portions of the session in my opinion were the group activities where we had the chance to apply the techniques that we had learned, including “Magical” thinking, creation of personas, framework designs and storyboarding. This really helped to reinforce the techniques that were shown in class. If I had any criticism for the class, it would be that at times, portions of the lecture seemed a little too rushed in an effort to fit all of the content within the 4 day timeframe. Also, this training course is the exact same training that Cooper employees take after they are hired. It is geared towards the Interaction Design Process from the Cooper Consultant perspective (working as an external consultant for companies). In future versions of this workshop, it would be nice if Cooper could have a brief topic on how participants can introduce this process internally at their own organizations and get buy in (Although this could possibly be taught in one of their other courses). In my opinion, that will be one of the biggest roadblocks for attendees after they return to work with this new found knowledge. 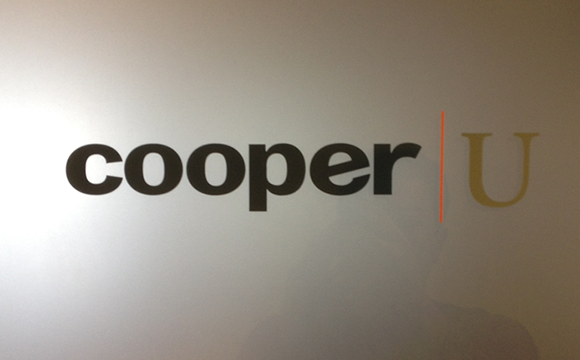 Overall, after the 4 days were over, I felt that the time I spent at the Cooper offices was well worth it. I had a chance to learn from one of the most knowledgeable Design Firms in the business and feel much more confident in my ability. You will also get some insight into what is it like to work for a world class organization that focuses solely on the User Centered Design of products. I would definitely recommend this workshop to anyone who is interested in learning more about Interaction/User Experience Design. Cooper has other great workshops available, and I definitely plan on returning to attend the Visual Interface Design session, hopefully in February of 2012. Network! Your session will be attended by a group of very interesting people who most likely share common career interests as you. Take this time to make some connections. Participate! Make sure that you take the time to complete the in class exercises, they really help to reinforce the topics that are discussed. If possible, stay at a hotel that is within walking distance, it makes it that much easier to get back and forth to the sessions. 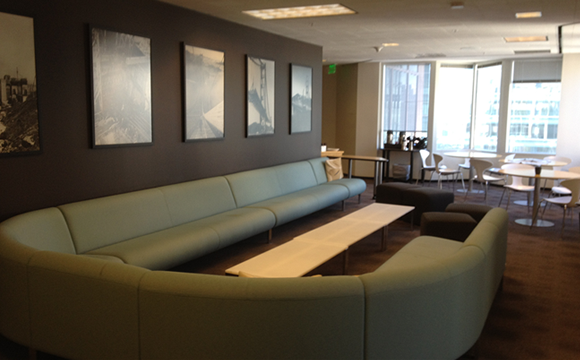 The Cooper offices are definitely set up to encourage collaboration among their teams. The office spaces are very wide open (unlike the cubicle farm that I work in) and there are large white boards on many of the walls. The Cooper employees all seemed very passionate about what they do and happy to be at work. Of course, that is to be expected since they are one of the top Design Firms. When Cooper consultants are assigned to a project, the teams usually consist of two IxDs (Generation and Synthesis) and one Visual Designer. There is a cool Interaction Design Challenge that you can take to find out which if you are better suited for a Generation role or Synthesis role. 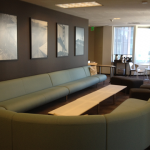 The atmosphere at the Cooper offices was very relaxed and fun. Many of the offices had toys covering their desks and there was always something to eat as well as a well-stocked refrigerator that had a sign on it that said, “A hydrated designer is a happy designer”. I honestly believe this type of atmosphere fosters creativity and is a big reason why they are able to produce such innovative work. When asked what tool they recommended most for quickly sketching out wireframes, the surprising answer was Microsoft OneNote. Cooper installs this software onto Windows Tablets so that they can use a stylus to sketch out their ideas. OneNote was recently released for the iPad, but I am not sure if Cooper has started to use it. Cooper also heavily uses Adobe Fireworks when creating wireframes and mockups. This made me happy, because this is also my tool of choice when I am doing both wireframes and high-fidelity mockups. 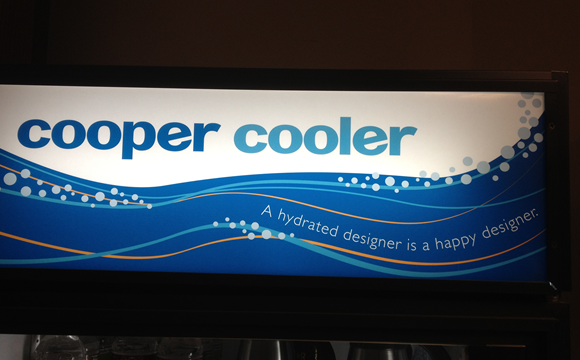 A Hydrated Designer Is A Happy Designer! Thanks for the kind words, Troy! 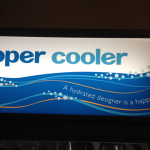 As a Cooper designer (of the IxD Synthesis flavor) I can tell you it is certainly a joy to work here. OneNote is a program we all love to hate (or hate to love?). The iPad version is a terrible disappointment. It is text-based only. There are good iPad sketch programs available, of course. But until the iPad supports a serious stylus, I don’t see it being a good replacement for a tablet PC for sketching. Hi Jenea! You are definitely lucky, Cooper really seems like a great place to go into work every day. The day after I got back from my last day in class there, OneNote for the iPad came out, I was curious to know whether or not you all gave it a try. That’s too bad Microsoft didn’t go a good job with it.